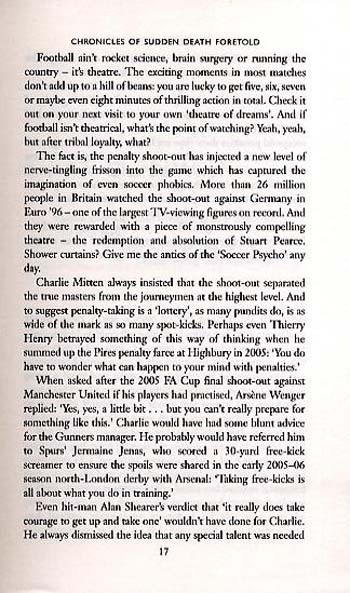 Giggs, Cantona, Law, Charlton and Best - all would seem obvious candidates for the accolade of Manchester United's Penalty King. 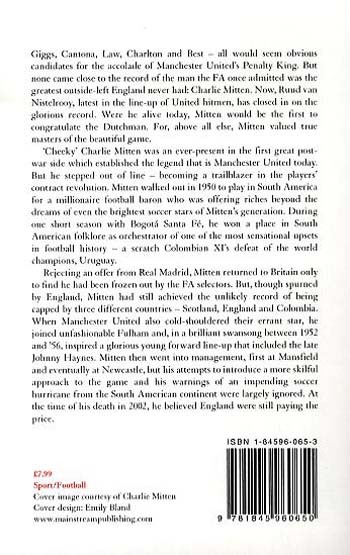 But none came close to the record of the man the FA once admitted was the greatest outside-left England never had: Charlie Mitten. Now, Ruud van Nistelrooy, latest in the line-up of United hitmen, has closed in on the glorious record. Were he alive today, Mitten would be the first to congratulate the Dutchman. 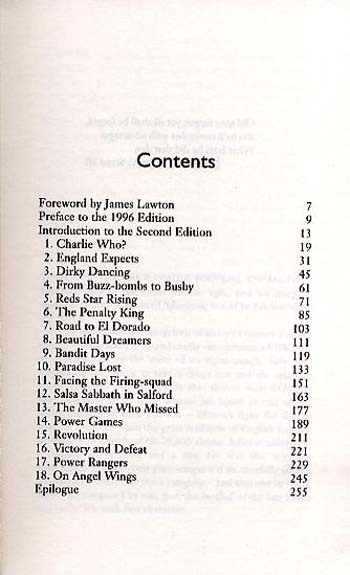 For, above all else, Mitten valued true masters of the beautiful game. 'Cheeky' Charlie Mitten was an ever-present in the first great post-war side which established the legend that is Manchester United today. But he stepped out of line - becoming a trailblazer in the players' contract revolution. Mitten walked out in 1950 to play in South America for a millionaire football baron who was offering riches beyond the dreams of even the brightest soccer stars of Mitten's generation. 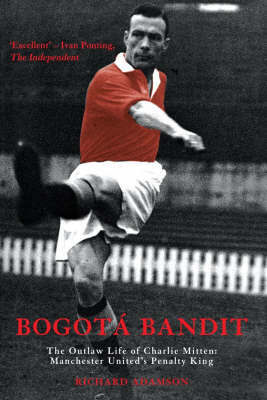 During one short season with Bogota Santa Fe, he won a place in South American folklore as orchestrator of one of the most sensational upsets in football history - a scratch Colombian XI's defeat of the world champions, Uruguay. Rejecting an offer from Real Madrid, Mitten returned to Britain only to find he had been frozen out by the FA selectors. But, though spurned by England, Mitten had still achieved the unlikely record of being capped by three different countries - Scotland, England, and Colombia. When Manchester United also cold-shouldered their errant star, he joined unfashionable Fulham and, in a brilliant swansong between 1952 and '56, inspired a glorious young forward line-up that included the late Johnny Haynes. Mitten then went into management, first at Mansfield and eventually at Newcastle, but his attempts to introduce a more skillful approach to the game and his warnings of an impending soccer hurricane from the South American continent were largely ignored. At the time of his death in 2002, he believed England were still paying the price.